Leeds United are looking for a new manager again after Garry Monk shocked supporters by resigning today. 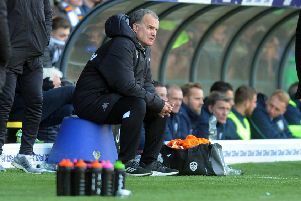 Monk handed in his resignation notice after talks appear to have stalled on a new contract and the news of his departure has been confirmed by the club. A statement on the club website said: “We are shocked and disappointed by Garry’s decision but his resignation has been reluctantly accepted by Chairman Andrea Radrizzani. “Andrea made it clear to the media yesterday that his intention was to exercise the club’s option to extended the manager’s contract for another 12 months and immediately begin negotiations for a longer term deal. “Mr Radrizzani has met with Garry twice since taking over at Elland Road earlier this week and during the second meeting yesterday it became clear that Garry was considering life beyond Leeds United as at no time did Garry wish to discuss terms for a longer contract. “Following that meeting yesterday Garry’s agent requested that the option was not exercised and his resignation was received this morning. Speculation has immediately sprung up on Monk’s successor with former Middlesbrough boss Aitor Karanka an early favourite.